Earlier this year, Northwestern Pritzker School of Law announced its intention to begin accepting the Graduate Record Examination (GRE) for admission in fall 2019. Upon further consideration and based on newly proposed ABA policies, we have decided to accelerate our acceptance of the GRE to the current admissions cycle, meaning Northwestern Law will immediately allow applicants to submit either the GRE or the Law School Admissions Test (LSAT) for admission in fall 2018. Since our announcement last month, Georgetown, Columbia, and Washington University have also announced plans to accept the GRE, bringing the total to six law schools when including us, Harvard, and the University of Arizona. We anticipate that other law schools, including some of our peers, will follow suit in the coming weeks. The GRE is a comprehensive exam that is easily accessed and broadly accepted by thousands of graduate and professional degree programs. We firmly believe that accepting the GRE will diversify our applicant pool and enable access to individuals who might not otherwise consider applying to law school. 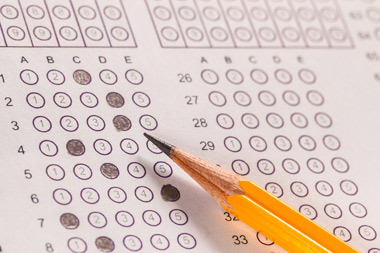 As shared previously, the decision to accept the GRE was made after careful evaluation, including a study conducted in conjunction with the Educational Testing Service (ETS) that showed that the GRE is a strong predictor of first-year performance at Northwestern Law. As always, test scores will be only one factor in our evaluation of law school candidates and we will continue to consider a range of factors. Northwestern Law is pleased to continually evolve our admissions process to ensure we attract the strongest and most diverse class possible, and we are proud to be at the forefront of this change across law schools. We are confident it is one that will benefit students, faculty, schools, and the legal profession at large.